I’ve been wanting to make a review on this hot pot restaurant for a long time now, especially after eating here more than a dozen times. I guess the delay is due to the fact that this is a Chinese hot pot restaurant in Manila. Whenever I am in a certain country, I would prefer to feature the local delicacies instead. I finally decided to make this review any how because my Filipino friend insisted that I should make this review as he loves the restaurant so much and he wants to show it to his relatives. Like any other South East Asian countries, Philippines has a large community of Chinese too. 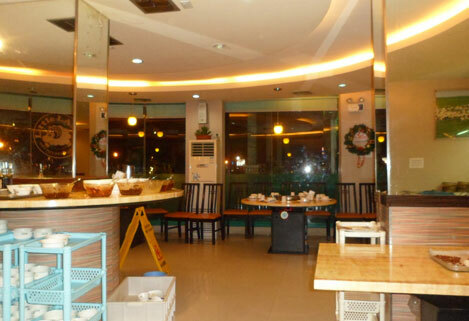 Chinese food is common and you don’t need to go to China town in Binondo or Ongpin just to eat your favorite Chinese cuisine. 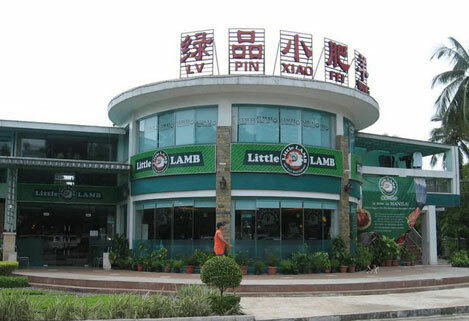 This hot pot restaurant by the name of “Little Lamb” however is a franchise from China. 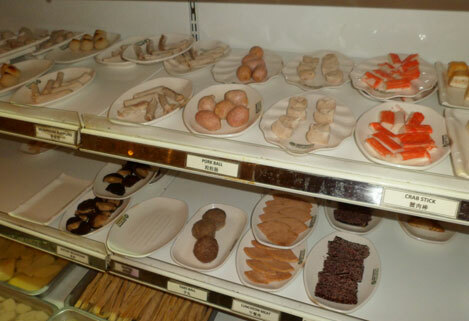 You can either order ala-carte or opt for the buffet style. 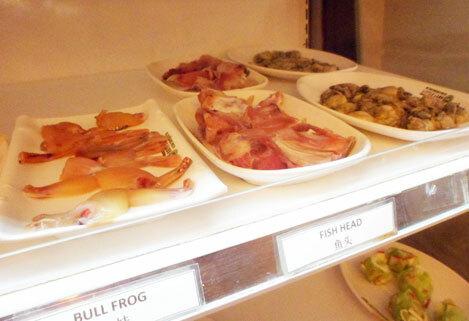 I prefer the buffet style ( 599 pesos per head ) as I don’t want to have the dilemma of what to order. 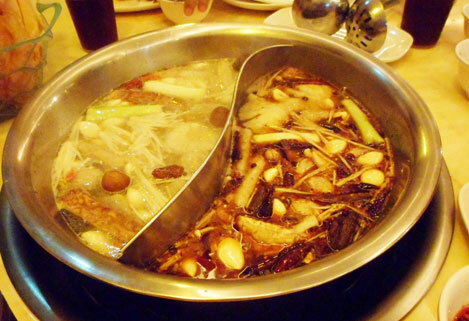 There are quite a few hot pot restaurant in Manila but I have to say this is my favorite. The variety of dishes is way more from those others that I’ve eaten before. I like the fact that they have my favorite hot pot items like fried bean curd skin ( Foo Chook ) and those grass jelly like noodles. I’ve never come across any other hot pot places in Manila that serve the fried bean curd skin. Another plus point for this restaurant is that finding parking space is such a breeze. 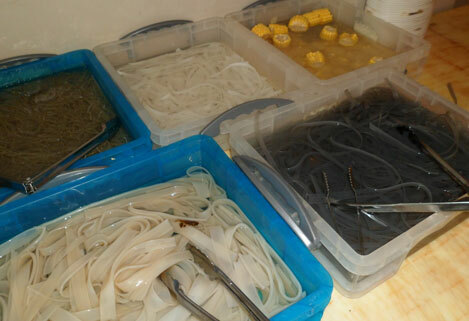 The glass jelly like noodles that I’ve eaten for the first time in China. Never really see other places in Manila offering this. There are few types of soup but I ordered the chicken and spicy soup made of Szechuan pepper corn. 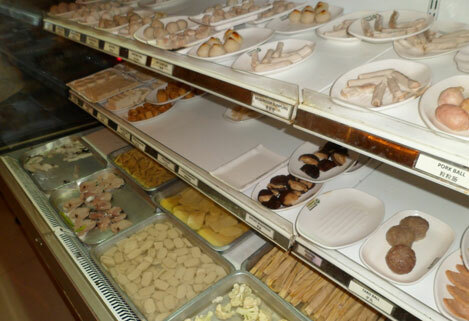 Cooked dishes like fried pork ribs and intestine were also available. There are actually more items I didn’t get to snap the pictures like the dried bean curd skin, vegetables and wide array of innards of all animals. I guess I was too busy eating and explaining to my Filipino friends about the hot pot items. 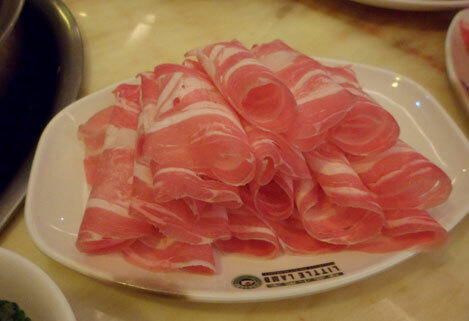 My friend love the pig’s brain especially and his wife loves the dried bean curd skin. Both of them told me that they really love the food here and will definitely bring family and friends back her. Ermita, Manila ( Tel : 02-5163886.
the place looks authentic! 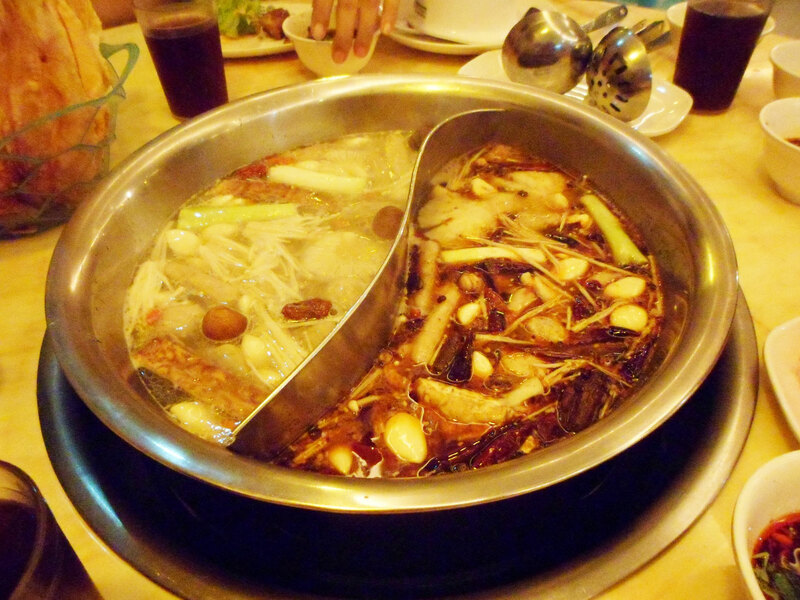 george town’s steamboat restos here in penang also use the same broth bowl where we dunk all the ingredients in a hot pot. i love the marbling of that lamb slices; beautiful! Is one of the best valued shabu shabu in Manila I’ve ever eaten.